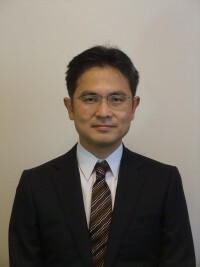 Professor Ide was then selected by the Japan Academy as a winner of the Tenth (FY2013) Japan Academy Medal. This Medal is awarded to six of the JSPS Prize winners who are “young researchers who have achieved outstanding research results and whose future activity is particularly anticipated.” The Japan Academy does not announce the detailed basis for their awards, but it seems likely that he was selected because of his outstanding research results in an important and timely research field, the physics of the earthquake source process. The Great East Japan Earthquake on March 11, 2011 and the subsequent accident at the Fukushima Daiichi Nuclear Power Station dealt heavy blows to Japan. The disaster was also a great shock to seismologists. The Seismological Society of Japan held special symposia during the 2011 and 2012 Fall Meetings to discuss the lessons learned from the March 11 disaster and to review and rethink past research and disaster mitigation activities. Before March 11, 2011, the public held overly optimistic expectations regarding the extent to which seismologists could make predictions of imminent earthquakes and long-term forecasts of future seismic activity. The March 11 disaster, however, showed that the present state of seismology fell far short of these expectations. Seismologists, not only in Japan but throughout the world, must now go back to basics, and try to find a new paradigm for the physics of the earthquake source process. It should be noted that the successful development of such a new paradigm will not necessarily lead to methods for making deterministic predictions and forecasts. The faculty and alumni of the University of Tokyo have contributed significantly to seismology over the past 130 years. During the Meiji era, John Milne (1850-1913, England), who was appointed as a (fixed-term) professor of mining and geology in the School of Engineering, was the world leader in establishing seismology as an academic discipline. Fusakichi Omori (1868-1923, a student of Milne) achieved substantial research results during the Meiji and Taisho eras. During the Showa era, Keiiti Aki (1930-2005) and Hiroo Kanamori (1936-) graduated from the School of Science and became faculty members at the University of Tokyo; both then became faculty members at universities in the U.S. and made outstanding contributions. The award of the Japan Academy Medal recognizes Professor Ide’s potential to follow in the footsteps of his illustrious predecessors.